On October 2, 2017, a number of Children’s Miracle Network Hospitals partners celebrated Child Health Day, resulting in over $464,127.61 raised for local hospitals, 9,500 new participants registered for CMN programs, and over 16 million social media impressions. As CMN Hospitals aims to save kids’ lives by raising funds for 170 member hospitals to provide the best care for local children and their families, see how CMN Hospitals’ partners Committed For The Kids on Child Health Day below! Five reasons of many we choose to #CommitForTheKids today, on Child Health Day. On Child Health Day, college students at over 300 colleges and universities participating in Miracle Network Dance Marathon set out to Commit For The Kids by recruiting new participants, engaging in fundraising campaigns, and helping to spread the word that children’s hospitals need donations by posting on social media. In just one day, these students united together to raise over $387,000 and recruit 9,050 new dancers. Dance Marathon programs had the opportunity to compete in various recruitment, fundraising, and social media challenges throughout the day to win extra donations toward their fundraising efforts. To see the challenge results, click here. Miracle Network Dance Marathon programs and participants flooded social media and hosted awareness events on campus to raise awareness about their efforts for their local hospitals. Extra Life, a CMN Hospitals program within the gaming community where participants fundraise year-round and pledge to play games for 24 hours, committed for the kids on Child Health Day by recruiting 402 new participants and raising $40,500. Around 350 Extra Life participants also “donated a social media post,” helping to create a social reach of over 2.3 million people and spreading the word about the incredible work the Extra Life community is doing for the cause. 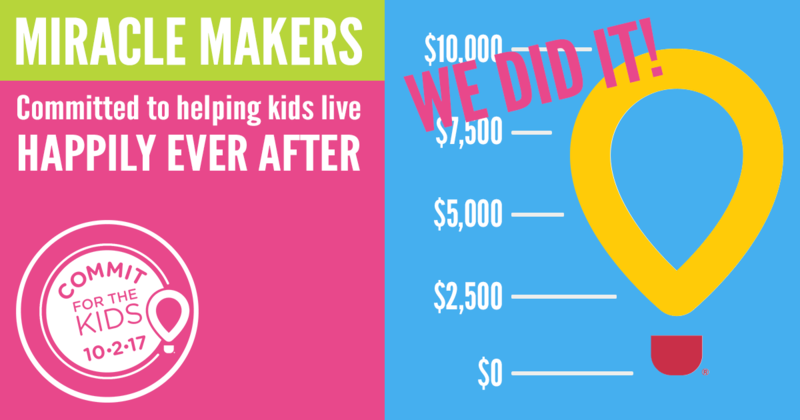 Since 2008, Extra Life has raised over $30 million for local children’s hospitals. Today, for Child Health Day, we need your help. #CommitForTheKids by encouraging your friends and loved ones to register for Extra Life in support of Children's Miracle Network Hospitals. Visit extra-life.org/commit to sign up. On Child Health Day, members of Phi Mu from across the U.S. set out a goal to “Commit For The Kids” to raise $10,000 in one day. On their Commit For The Kids fundraising page, over 650 undergraduate and alumnae members and friends of the fraternity have made donations, helping them raise $11,200 in just 24 hours! The Kappa Mu chapter at Georgia Southern University was the highest fundraising chapter, raising over $1,542 during the day. The Phi Alpha (McDaniel College) and Kappa Alpha (Mississippi State) chapters followed, raising $1,000 and $865 respectively. The Epsilon Iota chapter at Texas Christian University received the largest number of individual donations, receiving 92 donations. In addition to their “Commit For The Kids” campaign, Phi Mu members also raised an additional $15,000 through participating in Miracle Network Dance Marathon fundraising campaigns. As an official partner of CMN Hospitals since 1986, the women of Phi Mu have raised over $15 million for the kids in their community, breaking a record last year by raising $1.8 million in 2016 alone. To celebrate Child Health Day, Miracle Makers were challenged to raise $32 in honor of the 32 million hospital visits to CMN Hospitals made by 10 million kids every year. 61 Miracle Makers came together to raise over $11,000, with 54 of them completing the challenge to raise over $32. On Child Health Day, RE/MAX agents donated more than $10,500 to benefit their local children’s hospitals. ACE Hardware retailers celebrated Child Health Day by hosting a round-up campaign, allowing customers to opt to round up their purchase total to the nearest dollar as a donation to CMN Hospitals. Collectively, the 120 participating ACE retailers raised $3,088 for local hospitals. 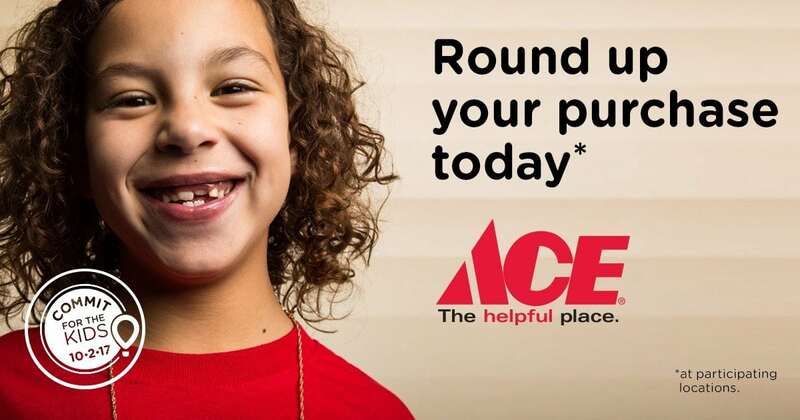 Since becoming a Children’s Miracle Network Hospitals partner in 1991, Ace Hardware has raised more than $80 million for local Children’s Miracle Network Hospitals across the country. On Child Health Day, Speedway locations encouraged customers to “Fuel Miracles” by donating any amount to their local children’s hospital at store registers. Since becoming a Children’s Miracle Network Hospitals partner in 1991, Speedway has raised more than $90 million for CMN Hospitals.